Nonjatta: Hibiki 12 to be released first in Europe! Hibiki 12 to be released first in Europe! The Japanese whisky industry is changing very quickly. Suntory have just announced that their new Hibiki 12 blended whisky will be released in Europe ahead of its launch in Japan! The Hibiki 12 will be sold in the UK, France and Sweden from mid May at a suggested retail price of £35 (700 ml). The Japanese will have to wait until Autumn to get their first taste of the younger version of Japan's most famous blended whisky (the star, lest any of you be allowed to forget, of Sofia Coppola's movie 'Lost in Translation'). The 17, 21 and 30-year-old Hibikis have been winning loads of major international prizes in recent years, hitting the headlines last year when the Hibiki 30 won the overall best blended whisky title at the World Whisky Awards. Suntory describes the young Hibiki as having a mild profile. They say it has a fruity smell developing into honey and custard creams. It has a soft mellow sweetness on the palate, according to Suntory, with just a touch of acidity and spice at the finish. I have just done a couple of interviews with some big cheeses at Suntory and they intimated that they are committed to significantly expanding their export market. This year is the 20th anniversary of the beginning of the Hibiki brand and the decision to launch the Hibiki 12 abroad is a dramatic demonstration of the new priorities. Nonjatta's large US readership will have noticed that this early export release is in Europe rather than the States. American fans of Japanese whisky are, it seems, still getting the short end of the stick. For this, I am afraid, you have no one to blame but your own bureaucrats. Hiroyoshi Miyamoto, general manager of Suntory's Yamazaki distillery, told me that it was a nightmare getting Japanese whisky and, particularly, single malt into the US. "They don`t have a category for us in their alcohol import handbook. We got lucky with Yamazaki some years back but when we tried to import Hakushu we were told there was no such thing as Japanese single malt whisky," he said. There is light on the horizon, however. Miyamoto said they were currently in negotiations in the US and hoped that they would make some real progress in the near future. I also believe there is a very strong possibility of getting Nikka whisky into the US. I am in touch with the people behind that effort and will post news as soon as something concrete happens. In the meantime, can the first European to taste the young Hibiki please send in their impressions? Enjoy! Reading your article about the Hibiki 12 y.o. Very excited to try, the 17 is a fav of mine. Great whisky when I finish work, but I'm wondering. Suntory only imports the Yamasaki 12 y.o to Australia, you think it's because they think they will have the same trouble in Australia they had in the US? To be honest with you, I have no idea. I know that, thanks to companies like Maison du Whisky and No. 1 drinks, Europe has emerged as a mature market for Japanese whisky. Perhaps the positive reasons for going to Europe were as important as negative problems with the US and other markets? Suntory is a huge company and if they really needed to kick down those import doors they probably could. I don`t know what the Australian regulatory set up is like. If you can tell us more, I think we would all be interested to know. I was in a Japanese market today in San Mateo, CA and found Nikka Gold & Gold and Super Nikka for $32USD. Both imported by JFC International. Besides this sighting, I haven't seen anything besides Yamakazi. I have to check out a few whisky bars here in SF but really, I'm not excited about paying 3x markup for bottle service. Thanks for your blog, I really enjoy reading it. I am afraid, as a Tokyo resident, I have know knowledge of San Mateo, let alone San Mateo`s Japanese supermarkets. Any Nonjatta readers who can be more helpful? I forgot the name of the market but its on 4th avenue one block east of el camino real, kitty corner from wells fargo. 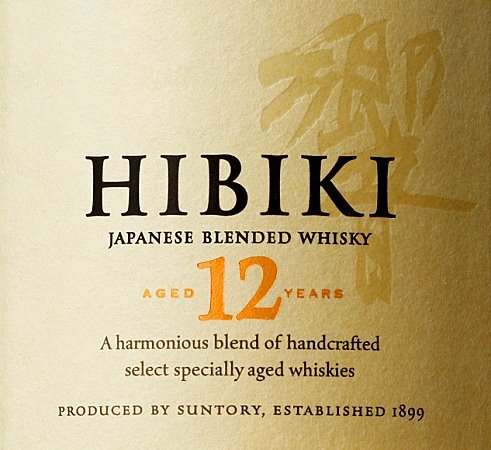 I'm pretty sure you can get Hibiki 12 from k&l wines. They're in Redwood City and SF. Sorry Sanjay, I just reread your comment. I don't believe there is anyplace in the USA that sells high end Nikka. You can get Nikka black and gold at that market I mentioned, or at Murakai in southern california.